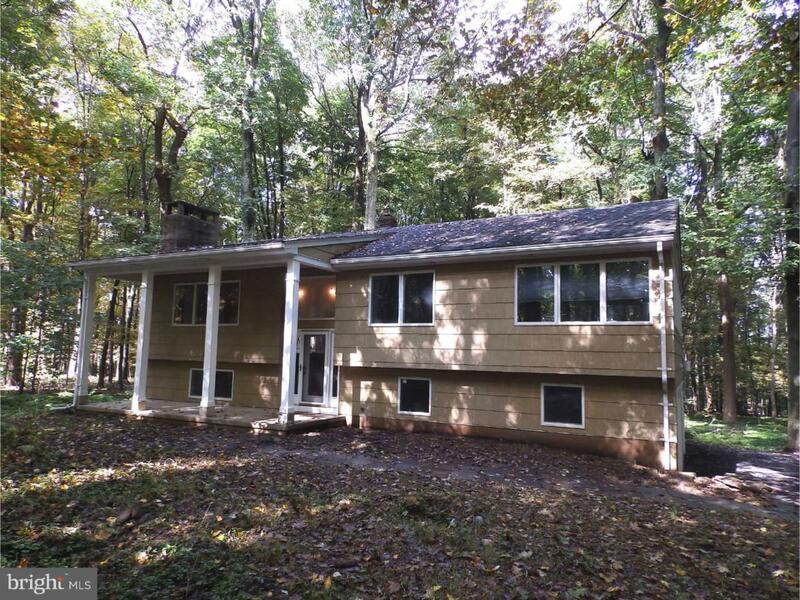 This beautiful home in bucolic Hopewell, is located in a very private, wooded setting just outside the boro. 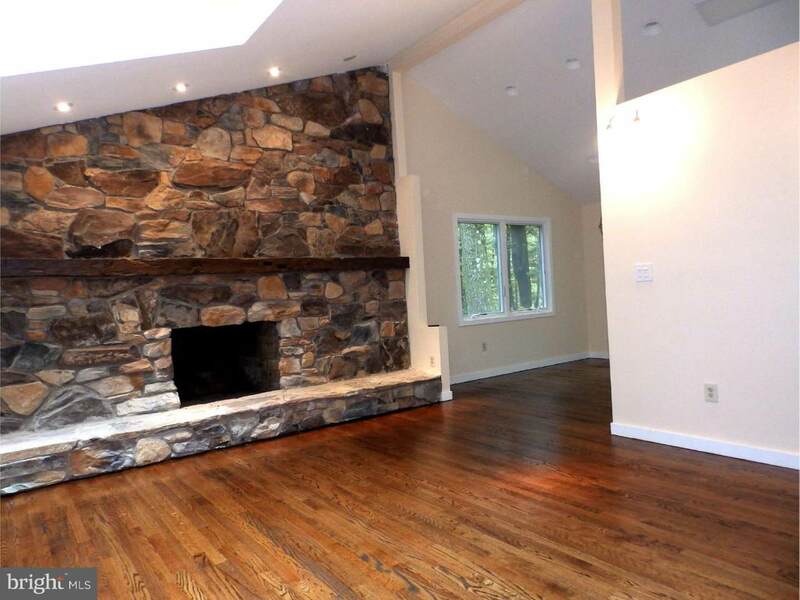 The home features 3 bedrooms and 2.5 completely remodeled baths. The upper level has a beautiful kitchen with brand new stainless steel appliances, new lighting, skylights and lots of windows. The dining area has sliding doors that lead to the deck which covers the full length of the house. 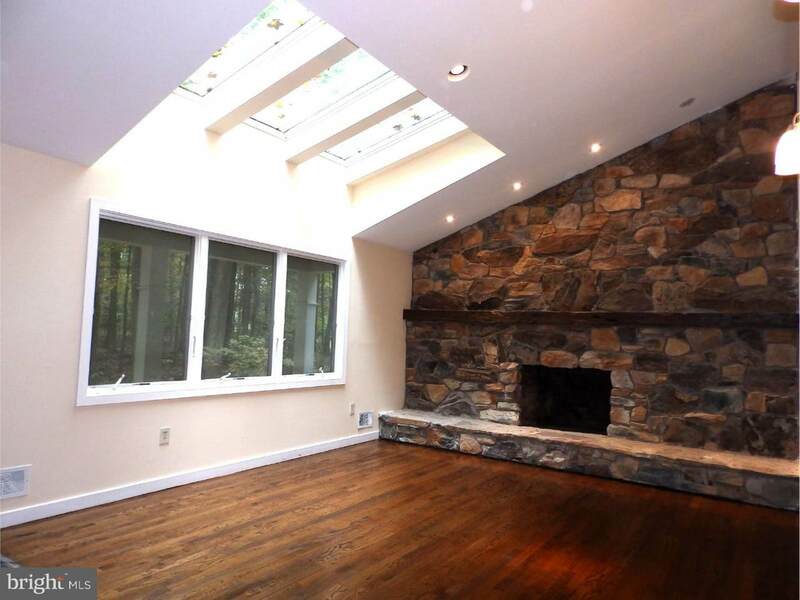 The living room has a full wall stone fireplace, skylights, and many windows overlooking the front yard. The master bedroom is huge with a private full bath, 2 closets and sliders also leading to the deck. The master bedroom features many windows overlooking the park-like yard. The 2nd bedroom and another full bath complete this level. The lower level has 1 bedroom, a half bath, and a family room with sliders leading to the covered patio. The laundry room, utility room and 2 car garage complete the lower level. The whole house is freshly painted, and the hardwood floors were all refinished in high gloss. Come see this beauty for yourself!